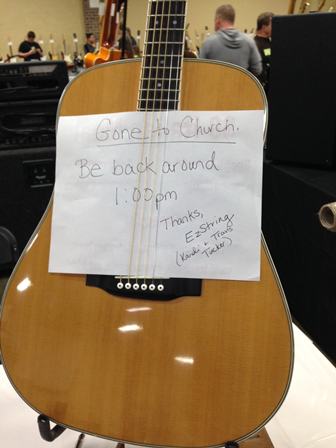 We buy the majority of our vintage guitars in the US, on dedicated buying trips. Gibson guitars were sold in the US domestic market with only a tiny minority few arriving in the UK since the 50s and 60s. So, we go to where the guitars are, importing them back to the UK carefully packed into special containers. On a typical trip our buyer will buy 20 or more instruments. That means he has selected, examined, negotiated and then not bought some 80 items. Over the past 10 years, we have developed ‘special relationships’ with a few very dealers and collectors all over the US. These remarkable individuals know what we want and we have built-up personal and professional trust in each other. Special though these relationships are, the vintage guitar market, as in any market, is price-driven. Dealers that rely on sales to other dealers have to leave enough profit for those dealers to make their money. Prices across the US and Europe are broadly harmonised. Prices in New York, London and Stockholm are noticeably higher, reflecting the overheads of running a shop in those cities. Japanese buyers are especially aggressive at importing Vintage Guitars from the USA, often paying record-breaking prices for vintage guitars in the absolute best condition. With their Yen-backed Dollars these buyers do push the US prices up, especially for ‘top-end’ guitars. Whilst Sterling remains weak against the Dollar, ‘top-end’ guitars will continue to find new homes in Tokyo rather than Europe or the US. We also buy directly from American individuals. These are often wonderful encounters with musicians, generally older in years who are selling their personal instruments. This is where our buyer hears some of the most charming stories. Fathers feature often: the gentleman in one of the ‘Bible belt’ states selling a guitar his Dad bought for him and which he only played in church on Sundays; the lady selling her Dad’s guitar complete with pictures, sleeve notes, lyric sheets, and spare strings – just as he left it after his last recording session. However, there are far more ‘private individuals’ selling guitars in the US that we politely decline to do business with. It’s a judgement call, but if the person doesn’t seem 100% genuine, or there are any doubts about a guitar’s authenticity or legitimacy, our buyer prefers to pass than take any risks. Typically these instruments are offered for sale on eBay, which is another ‘no-no’ for us. Thankfully, being a web-based business we don’t get offered stolen guitars, which continues to be a regular occurrence in London’s Denmark St. Shame on those who support thieves by buying their hot gear. Importing vintage guitars into Europe attracts VAT which is liable at the rate of the European country into which they are imported. In the UK that’s 20%. You may need to get an EORI number for importing into the EU. It’s free and easy and the link is provided below. Once inside the EU, VAT has been paid and you are free to move the guitar around without paying VAT again. That VAT cannot be reclaimed by an individual. There is import duty payable as well, currently at the rate of 3.7% in the UK. If you are comfortable about smuggling items into the country, you can fly to the US, make your purchase in person and then hand-carry the guitar home. Check that the airline will allow you carry the guitar into the cabin – you don’t want it crashing down the luggage chute with the suitcases! Importing into the UK guide. Commodity codes lookup for imports. EORI Scheme – registration and guidance.